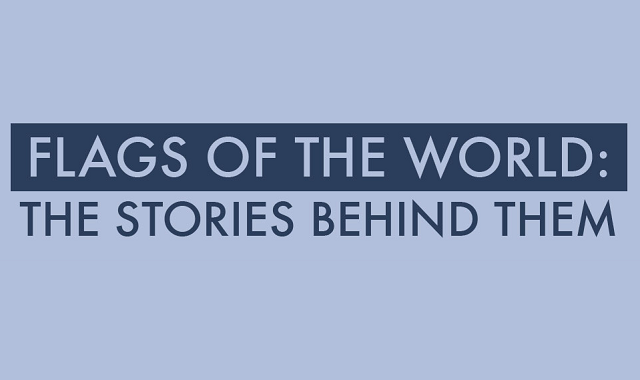 Flags of the World: The Stories Behind Them #infographic ~ Visualistan '+g+"
From the stars are stripes of the USA to the Maple Leaf of Canada, every country has a unique flag that symbolises the nation they represent. A lot of people could tell you why these were chosen, but the stories behind the designs of some of the other flags of the world and what they represent is not always as well understood. That is why Just The Flight have explored the stories behind 24 of the most iconic flags to reveal their fascinating history. Find out what the unusual shape of the flag of Nepal represents and what the wheel in the centre of the Indian national flag represents, as well as stars of China, cross of Denmark and AK-47 of Mozambique! So find out what lies beneath the surface of some of the world’s most interesting flags with the fascinating infographic below! You won’t look at a flag in the same way again!